This year, we added Kindness to our core values at Cannon School. While kindness has always been part of our community expectations, it is nice to see it be officially included as our sixth value. 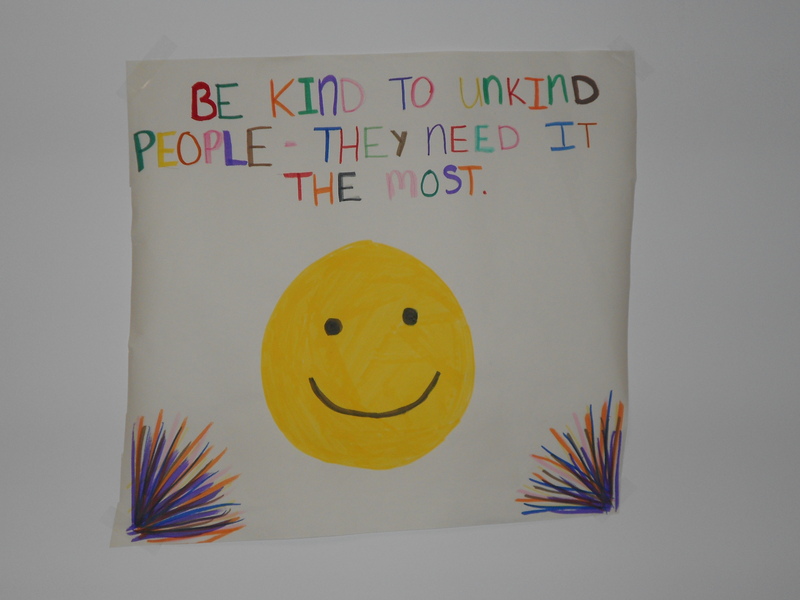 This week, Cannon School has been participating in World Kindness Week. Counselors in each division have worked with students to create activities that promote Cannon’s newest Core Value. Highlights include an Upper School “Kindness Challenge” during which students will sign their names to a kindness wall to demonstrate their commitment to being kind, a “No Hate/No Put-Down Day,” and the creation of kindness posters by Lower and Middle School students for display throughout the school. Students will also be able to send “Kindness-grams” to friends during lunch. The week will culminate Friday with a “Random Act of Kindness Day” that includes opportunities for students to record anonymous acts of kindness on papers for posting in each division.